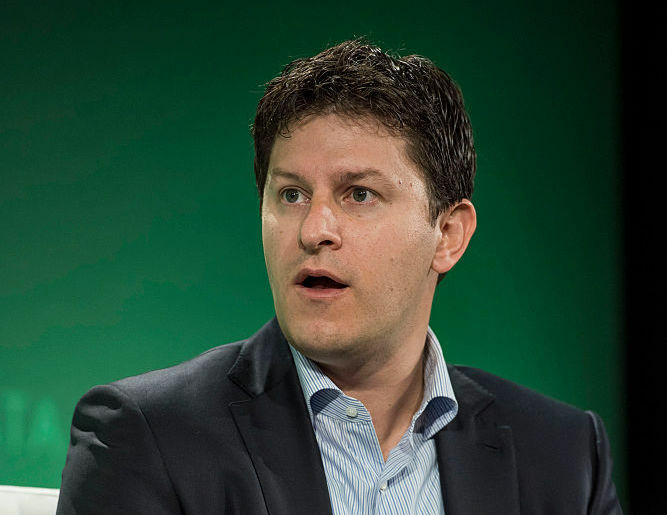 Following a report by The Wall Street Journal that the security vendor Tanium used a hospital's live network as a demonstration platform on sales calls and even revealed private hospital data in a publicly posted demonstration video, Tanium CEO Orion Hindawi has admitted that mistakes were made in handling data from El Camino Hospital's network. Hindawi was vague about whether the company had live access to the network, but in a blog post late yesterday, he said that the data was from "this particular customer's demo environment" and that Tanium did not—and should not—have remote access to customers' security data except in a very few cases where customers had granted access. [Update, 3:30 pm EDT] Ars has learned from a source familiar with the installation that the company did, in fact, use a connection to El Camino Hospital's on-premises instance of the Tanium web console for demonstrations.The connection would have had to have been provided by El Camino's information technology staff—though it is not clear how far up in the hospital's administration that arrangement was approved, and the arrangement was apparently never documented. Since 2015—about the time Tanium lost access to the El Camino Hospital installation—Tanium has required that these sorts of arrangements be codified in writing. "We do have a few customers who have agreed for us to use their environments for external demos and have provided that access to us," Hindawi wrote. "Since 2015, we’ve insisted that before a customer is willing to let us demo from their environment, regardless of the access they offer us, we document that in writing and agree on what data we can show to ensure there isn’t any confusion. Other than the few customers who have signed those documents and provided us remote access to their Tanium platforms, we do not—and in fact cannot—demonstrate customer environments with Tanium." One of the Microsoft Windows vulnerabilities used to spread the Stuxnet worm that targeted Iran remained the most widely exploited software bug in 2015 and 2016 even though the bug was patched years earlier, according to a report published by antivirus provider Kaspersky Lab. 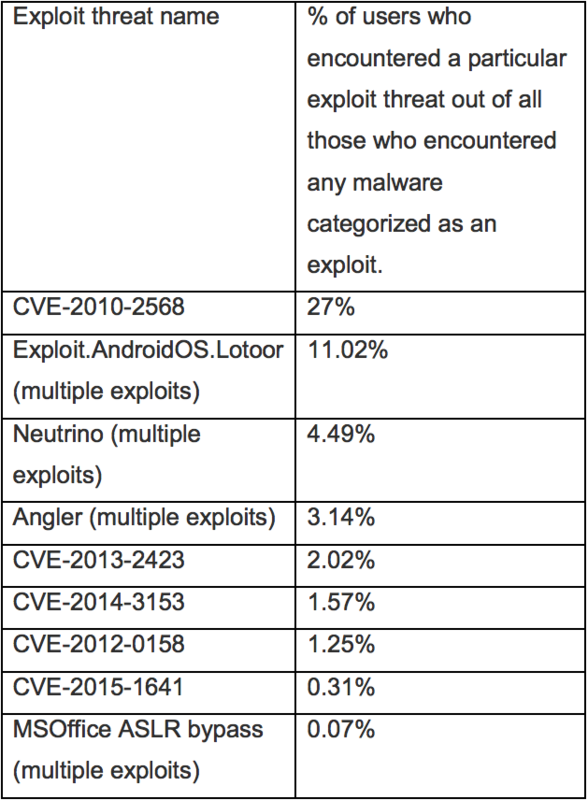 In 2015, 27 percent of Kaspersky users who encountered any sort of exploit were exposed to attacks targeting the critical Windows flaw indexed as CVE-2010-2568. In 2016, the figure dipped to 24.7 percent but still ranked the highest. 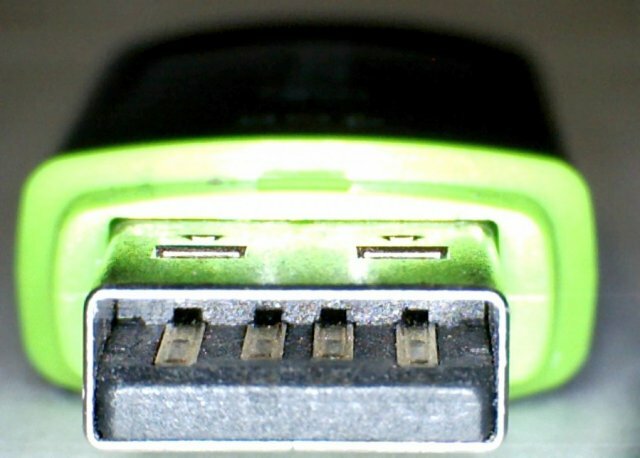 The code-execution vulnerability is triggered by plugging a booby-trapped USB drive into a vulnerable computer. 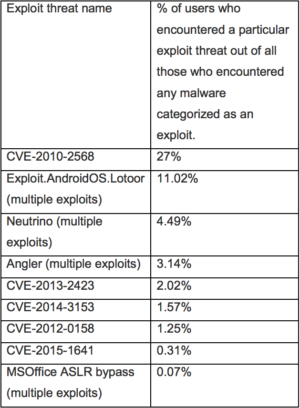 The second most widespread exploit was designed to gain root access rights to Android phones, with 11 percent in 2015 and 15.6 percent last year. The Windows vulnerability was first publicly disclosed in July 2010, a few days before security reporter Brian Krebs was the first to report on the Stuxnet outbreak. 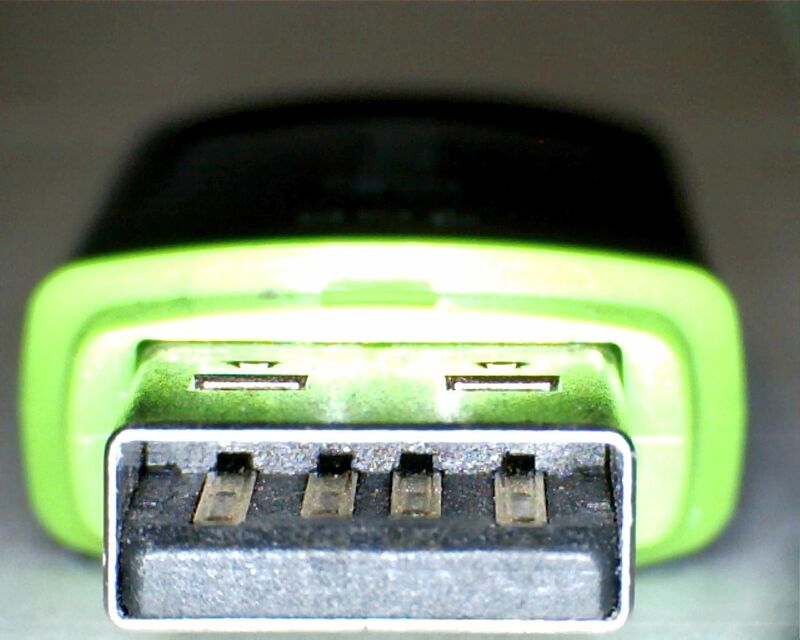 The bug resided in functions that process so-called .LNK files that Windows uses to display icons when a USB stick is connected to a PC. 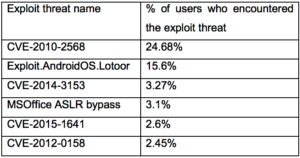 By hiding malicious code inside the .LNK files, a booby-trapped stick could automatically infect the connected computer even when its autorun feature was turned off. The self-replication and lack of any dependence on a network connection made the vulnerability ideal for infecting air-gapped machines. Microsoft patched the vulnerability in August, 2010. 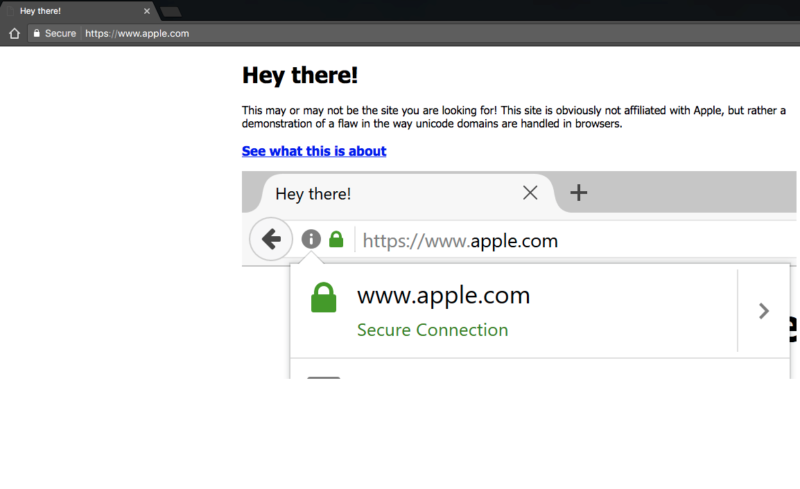 In many cases, DNS remains a goldmine to detect potentially malicious activity. DNS can be used in multiple ways to bypass securitycontrols. DNS tunnelling is a common way to establish connections with remote systems. 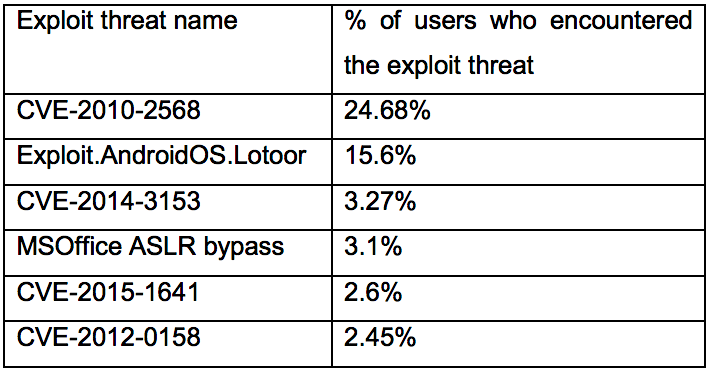 It is often based on TXT records used to deliver the encoded payload. TXT records are also used for good reasons, like delivering SPF records but, too many TXT DNS request could mean that something weird is happening on your network. This technique is not new but comes back regularly in front of the stage. The malware Wekby discovered in 2016 was already using this technique for C2 communications.